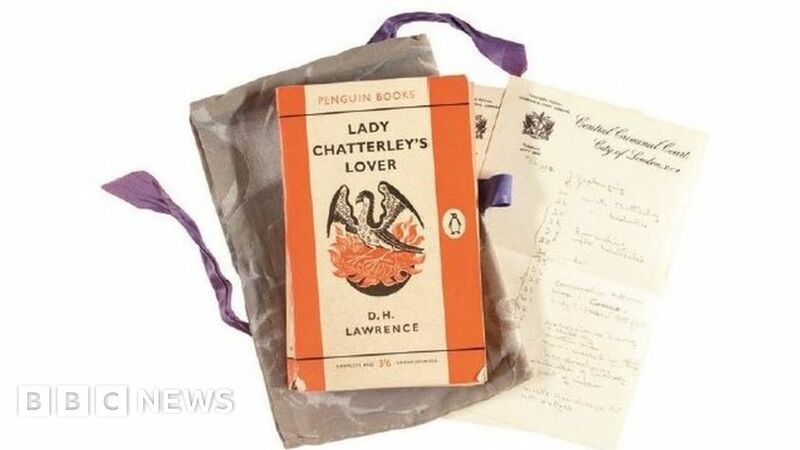 A copy of Lady Chatterley’s Lover, used by the judge who presided over the celebrated obscenity trial in 1960, has sold for more than £56,000 at auction. The book, which had been expected to fetch up to £15,000, went to an anonymous online bidder on Tuesday. Sir Laurence Byrne brought the copy of DH Lawrence’s novel into court every day concealed in a blue-grey damask bag hand-stitched by his wife Dorothy. The trial caused a sensation when Penguin Books were found not guilty. Lawrence’s novel told of a passionate affair between an aristocrat, the titular Lady Chatterley, and Oliver Mellors, her husband’s gamekeeper. Before the trial, Lady Dorothy Byrne read the book and marked up the sexually explicit passages for her husband. She compiled a list of significant passages on the headed stationery of the Central Criminal Court, noting the page number, and adding her own comments, such as “love making”, “coarse”, and so on. The jury took just three hours to find the publishers Penguin not guilty – a victory that, according to auction house Sotheby’s, “helped bring to birth a more liberal and permissive Britain”. The obscenity trial inspired a 2006 BBC Four drama called The Chatterley Affair, starring Karl Johnson as Mr Justice Byrne and David Tennant as literary scholar Richard Hoggart. The copy sold in London on Tuesday was formerly owned by American-born art collector Stanley J Seeger and his partner Christopher Cone. It sold for £56,250, more than five times the pre-sale estimate, and set an auction record for a Penguin paperback. Seeger, who died in 2011, originally acquired the book at Sotheby’s for £4,370 more than 25 years ago.